Unless you’re fortunate to be the recipient of your grandfather’s old razor, you’re faced with two choices– buy new or buy vintage. 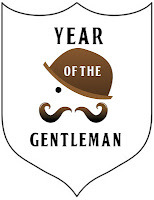 A quick trawl of Messrs E&Bay will unveil all manner of old razors, the most popular being made by Gillette. Indeed, I am told that my own grandfather had one himself. 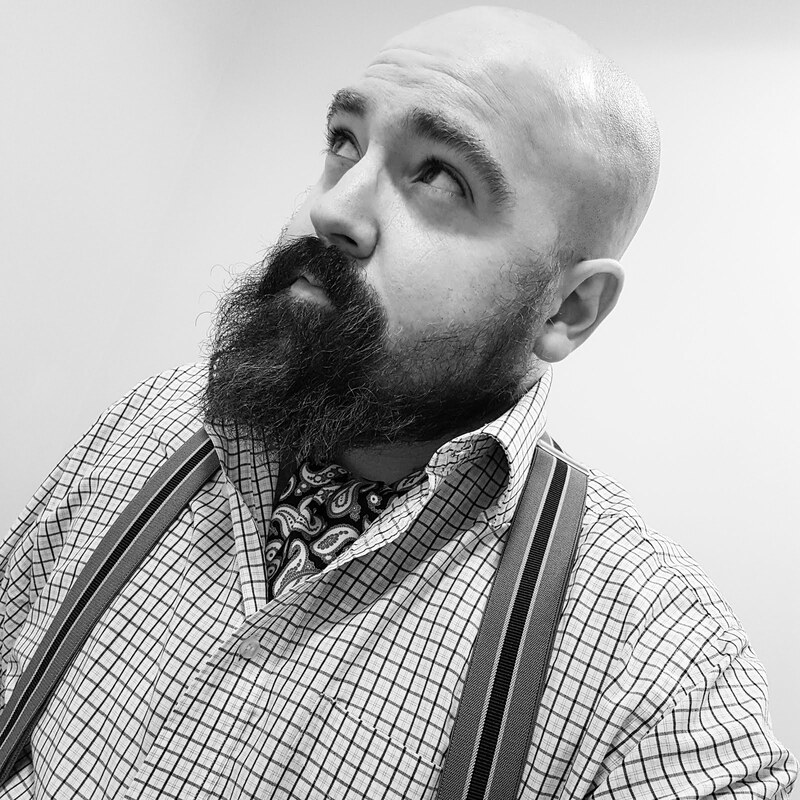 Once I had the good sense to take the safety razor plunge, I made the decision to go new. That’s not to say I have any qualms about buying an old razor. Once sufficient funds allow, I am keen to purchase an antiquated Gillette (but I will be careful to clean it with hot soapy water and super strong disinfectant before using it for the first time). 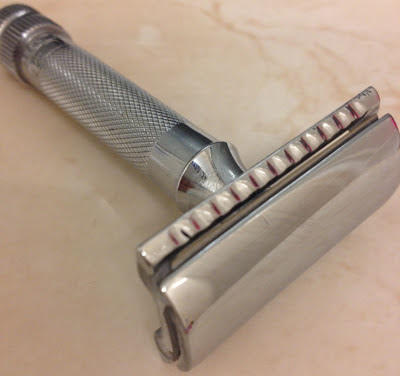 After conducting hour upon hour of research, I heeded the advice of shaving enthusiasts and bought a Merkur 34C HD. 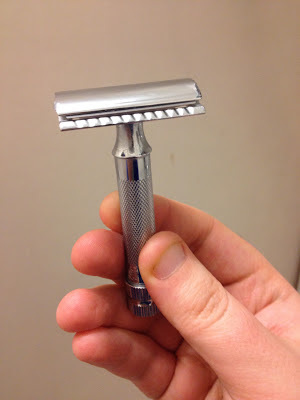 I was expecting a couple of cuts while I adjusted my technique from the plastic perils of the Mach3 but I found the Merkur to be a very forgiving razor. The first thing you'll notice about the German-made Merkur is the weight. I found that it sat very naturally in my hand and I instinctively knew the perfect angle for a good shave. As I had researched, the handle is quite short, but it's very grippy. If you have large hands, the longer-handled 38C may be better suited to your needs. The build quality is super. 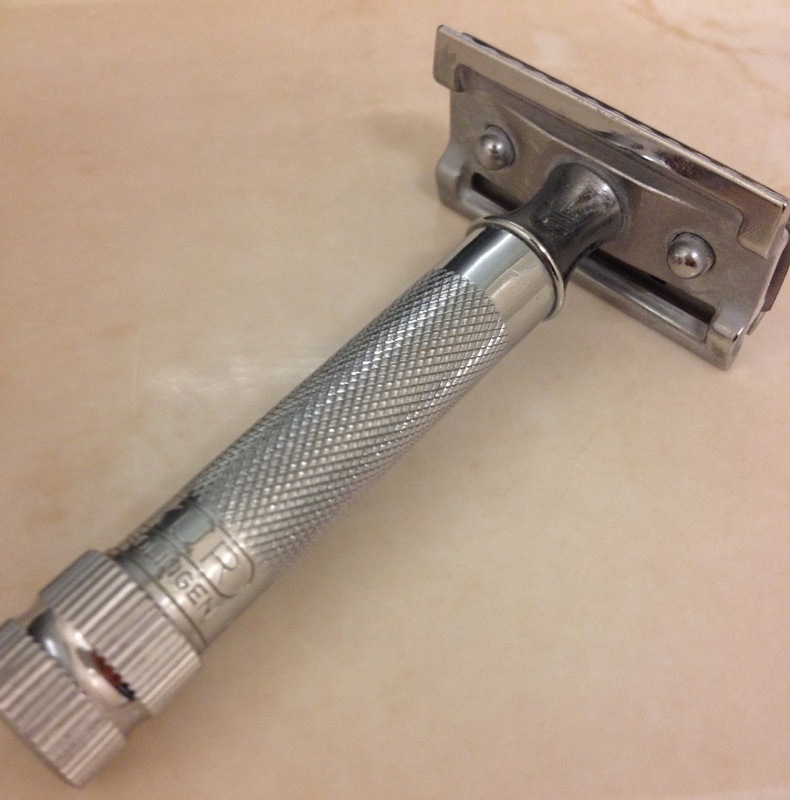 Its two-piece construction means the head of the razor is a beautiful, big slab of unbroken polished metal and the chunky style of the guards looks simply splendid. This is supremely well crafted. Unlike cartridge razors which make you feel like it’s peeled off your skin, the Merkur leaves you with a smooth refreshed feeling. Solid, weighty and it feels like it’s built to last a lifetime – environmentally-friendly to boot. Treat yourself, you know you want to.